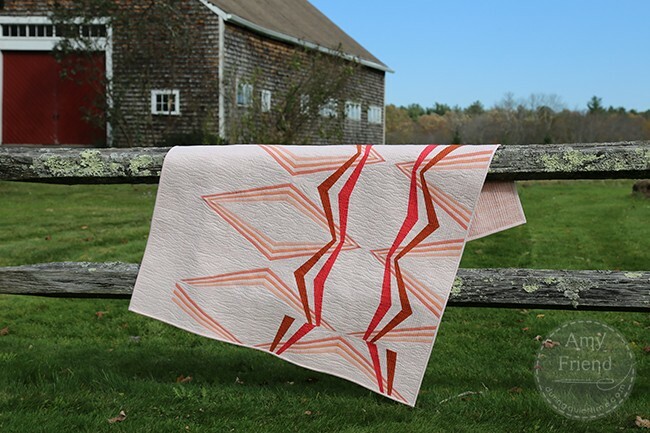 This quilt is called High Tension, inspired and named after high tension wires, of all things. I sort of like the fact that I was inspired by something that I find quite ugly and disruptive in the landscape and turned that inspiration into something I think is beautiful. 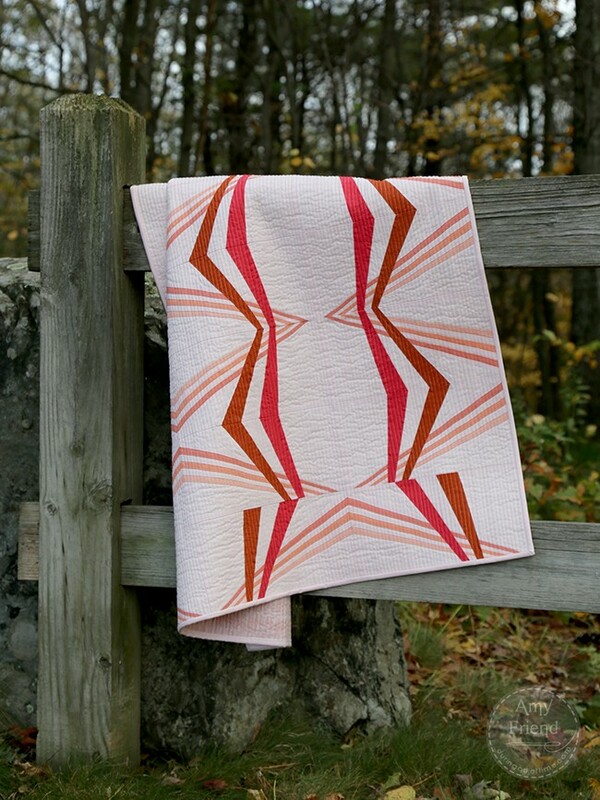 The quilt front and binding are made with Kona solids ranging from a pink in the background, through three shades of peach, to a cinammon and a lipstick pink. I backed the quilt with a print from my Improv fabric collection. I wanted something that would suit the strong geometry of the quilt front but I was also looking for a little bit of a pattern. So, this worked out perfectly. 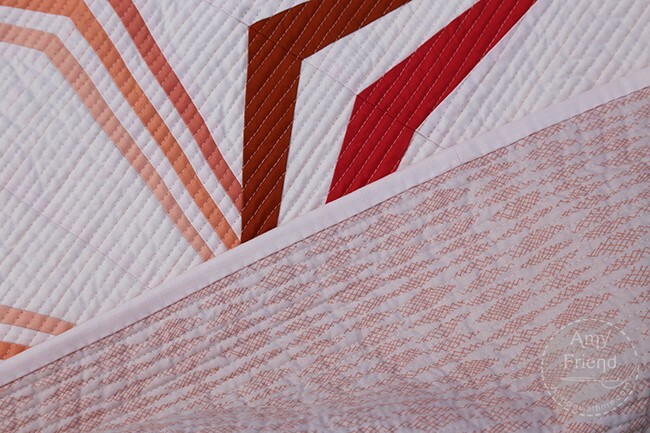 My quilting lines are spaced 1/4″ apart and are mainly stitched in a 50 weight Aurifil 6723 but some lines were stitched in Aurifil 2420. 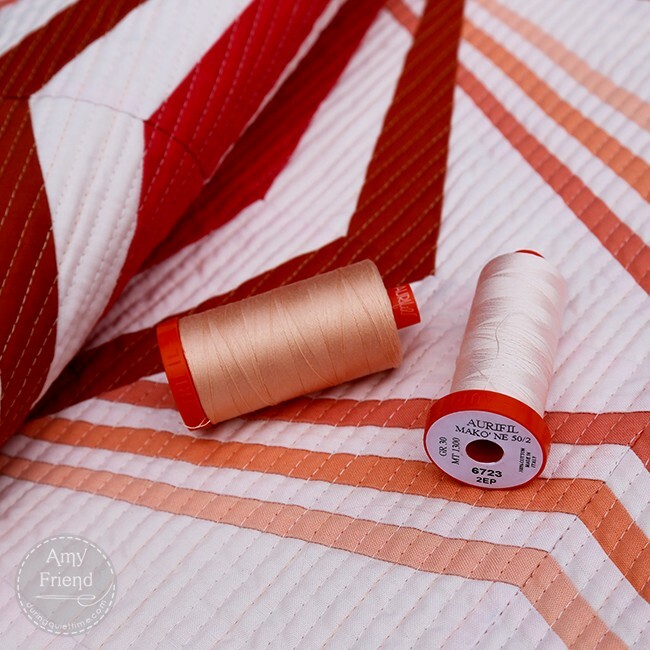 Both thread colors can be found in my Aurifil Designer Collection. The finished quilt measures 41″ x 48″. If you have read my book, Improv Paper Piecing, or taken a workshop with me, you know that I like to talk about the dash of the unexpected. 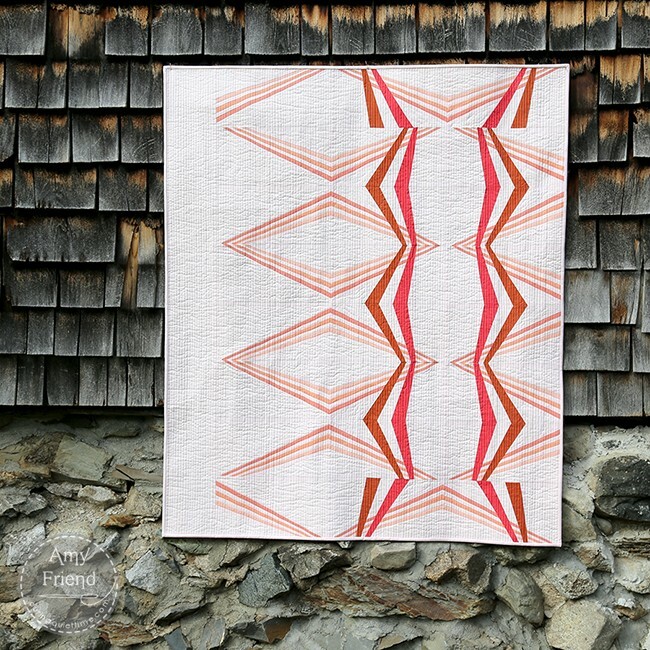 Whether it be an occasional row of a different colored thread in the quilting, a choice of binding color, mixed up color placement, or a layout choice; it makes the design so much more interesting! Here, I changed up the blocks in the top and bottom rows to break the pattern. I also removed the vertical lines from one column of blocks. I balanced the quilt layout with a strip of negative space on the left. I like the movement and interest that it achieved. Life has been exceptionally busy lately so it feels good to have a finished project to share. Thanks for visiting!